Are you a small business owner looking for an affordable phone solution with more benefits than a standard landline? What type of phone line do they use for their business? Then I posted a follow-up question, how much do you pay for your phone? I received a variety of responses. Most who pay for a landline said they pay for bundles (internet, phone, fax, etc.) anywhere between $89 and $200/month. Someone said they love Google Voice because it’s free. Another member said she hated paying for the landline so she opted to use her personal cell phone number. And someone else stressed the importance of reading a contract because now she’s stuck with a one year service. When we opened our store in 2015 we were on a mission to bootstrap which meant bare-bones services for us. I have to admit we have been lucky enough to share internet service with the other business owner in our building. But having a dedicated phone number and provider for our retail store was never addressed. I simply used my personal cell phone. When we approached year-3 in our brick and mortar I knew it was time to find a solution. 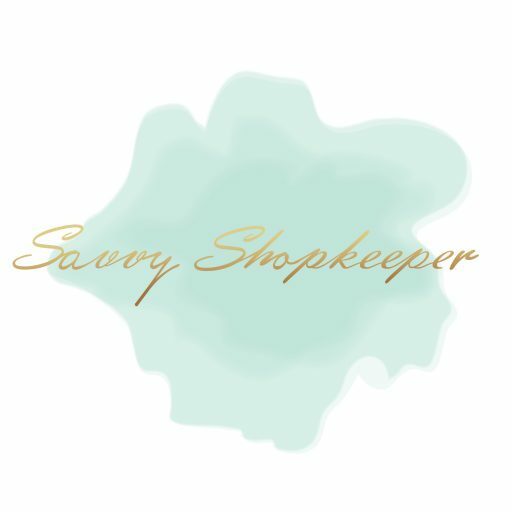 And then Daryna of OpenPhone contacted me – she found the Savvy Shopkeepers Group and thought some of the business owners in our group could use a service like OpenPhone. So I agreed to test it out and I am LOVING it! “Small business phone system, reinvented. Let me start by staying it’s an app for iPhone users – the Android version is coming soon. It works with wifi or cellular data. Why does it work for our small business? I understand every business owner will have different needs but this is why OpenPhone works so well for us. I co-own a brick and mortar store with my sister. We currently do not have any employees. There are days and times where we are not both at the store together. So when I was using my cell phone and I wasn’t at the store, I would then have to call or text my sister for answers or to give her information. I also didn’t know when I was receiving a personal call vs. a business-related call. I am all about systems – and this was a POOR system. More perks: My sister and I both have the app installed on our phones, we both see when calls or messages are coming in, the calls and messages are NOT deducted from our personal cell phone plans AND the incoming calls are identified as OpenPhone calls so we can identify them as business-related calls and not personal calls. YES! As part of the OpenPhone service, you can install a widget on your website and an icon appears in the bottom right-hand corner of your website, so get this….people can message you! Once a visitor clicks on the icon, a box appears with your business name, phone number and a message that says “How can we help you?” with a field where your customers can type and send a message or choose to call you. Want to see how OpenPhone works? Click on the image below, then click the play button to watch the demo. What’s the difference between Google Voice and OpenPhone? You may be thinking this sounds very similar to Google Voice but there are many aspects of OpenPhone that make it better than Google Voice. Click here to read about the differences. Originally OpenPhone was offering point plans but now they offer a SIMPLE monthly no-contract service for $9.99/mo. I wanted to test this service out before recommending it and if it isn’t already clear, I am very HAPPY with it. I sent many, many emails to Daryna who graciously answered ALL of my questions. We’ve been using it for a month and I’m so happy we found a phone solution for our business. OpenPhone is currently offering one month free if you want to check it out – click here to get the app and offer so you can sample it yourself. If you are looking to be a savvy business owner, this is the place for you. Subscribe to receive email updates or follow along on Facebook or Instagram. Thanks for the great info! I think we’re lying too much currently for our business line. Question: when you call someone back, what number shows up on caller ID? Hi Pam, thanks for asking – the number you choose or transfer appears on caller ID. You actually place/answer calls and message all from the app. It’s great because you don’t use your personal cell phone minutes for the calls.